Tickets for the 2018 concert season at Tanglewood are on sale now. Browse the 2018 Concert Schedule of classical, jazz, pop and more sure-to-be-stellar performances. Tickets may be ordered online using the Boston Symphony Orchestra's secure server. Find the event(s) you are interested in attending and use a credit card to make your purchase. There is a $6.50 per ticket service fee for online ticket orders. Call SymphonyCharge at 617-266-1200 or, from outside the 617 area code, call toll free, 888-266-1200; TTD-TTY for the hearing impaired 617-638-9289. Hours: 10 a.m. to 6 p.m. Monday through Friday and noon to 6 p.m. Saturday. SymphonyCharge will also be available on the on-sale date: Sunday, January 29, 2017, starting at 10 a.m.
You may charge your tickets using a major credit card. There is a $6.50 handling fee for each ticket ordered by phone. Tickets may also be purchased in person at the Symphony Hall Box Office, 301 Massachusetts Avenue, Boston. The Tanglewood Box Office opens in mid-June. Call 617-266-1492 or 413-637-1600 to confirm box office opening date and hours of operation. Lawn Pass Books of 11 lawn tickets are available at the special price of $180 through June 24. After June 24, they may be purchased for $190. Some performances are excluded. Reluctant to purchase lawn tickets due to the chance of rain? 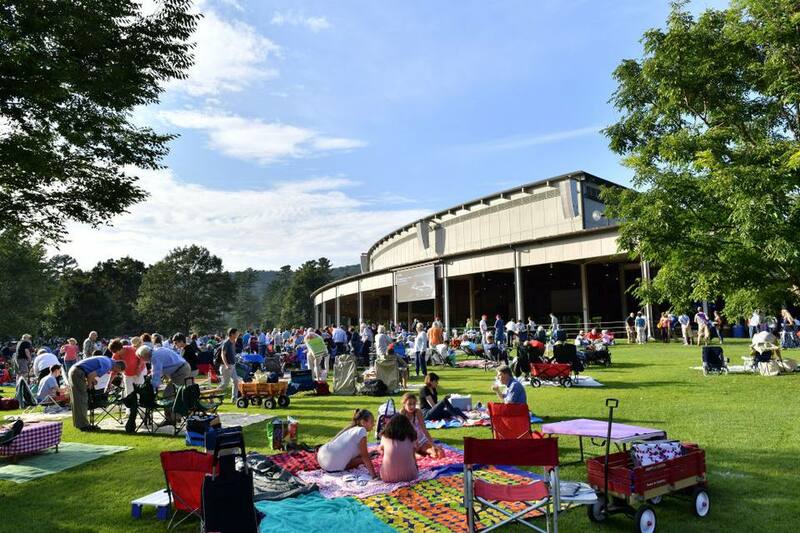 Lawn tickets for most concerts can be upgraded at the Tanglewood Box Office if it is raining on the day of a concert for the difference in cost between the lawn price paid and the price of a Shed ticket. Upgrading lawn tickets for Shed seating is subject to availability. For 2018, Tanglewood will offer its free lawn ticket program to all youth under the age of 18 who are accompanied by a parent or other guardian. Tickets are available from the Tanglewood Box Office on the day of the concert. Up to four free children's lawn tickets are offered per parent/guardian. Please note that children under the age of 5 are not permitted in either the Koussevitzky Music Shed or Ozawa Hall during concerts or rehearsals. For popular artist concerts (James Taylor, etc. ), paid lawn tickets are required for all guests ages 2 and up. Tanglewood offers a 50 percent discount on lawn tickets for Friday evening concerts for students 18 and over. Student ID is required, and tickets must be purchased at the on-site box office on the day of the concert. The BSO's $20 Under 40 program will also be available during the 2017 Tanglewood season for BSO and Boston Pops performances in the Shed. Patrons under age 40 may purchase these discounted seats on a first-come, first-served basis, and there may be a limited number of blackout dates. There is a limit of one pair of $20 tickets per performance, but patrons may attend as many performances as desired.